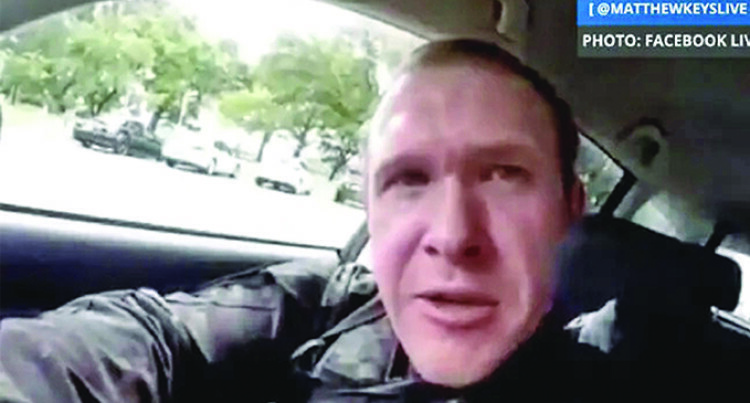 the Christchurch „massacre“ is our chance to destroy the power of mainstream media narratives. Although in most cases I usually reject the classification of terror attacks as hoaxes, this one seems to be such a false flag non-incident. And it threatens all of us truthers. The looming threat for us to be muzzled by increasingly rigid internet legislation is now spread by the mainstream media on a daily basis since 15th March. ? We have to fight this shutdown. We do that best by eventually (!) once (!) clarifying/solving one – THIS- “terror” case completely. This can be done using the search instructions below. Of course we can hardly accomplish this work alone from the US or Europe as the research requires being on-site. I therefore ask you to send the search instructions to friends, readers, followers, ex-muslims etc. 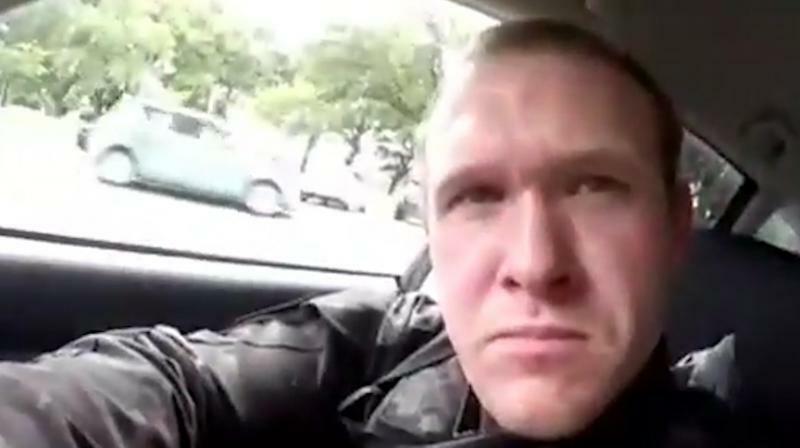 (ideally in NZ) to move things forward and find people to investigate in Christchurch. 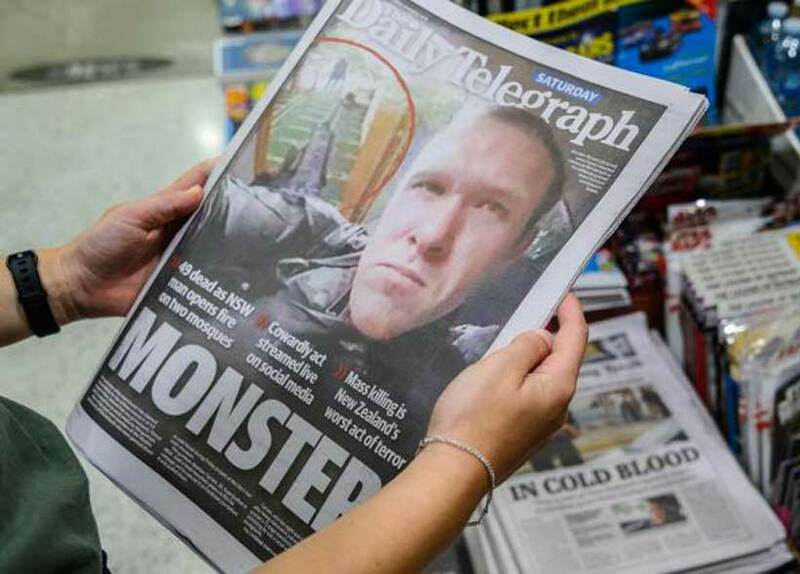 In view of the increasing persecutions (possession and distribution ban regarding the Christchurch shooting video) the volunteers are well advised to obtain press accreditations from alternative media. ? 1.Problematic because potentially ‚part of the game‘: ?
? Members of forces conducting the exercise ?
? Members of conventional police forces ?
? Members of emergency medical care ? 2.Partly problematic because potentially (already) included: ?
? Residents with views on the mosques ?
? Muslims (Questions, e.g. : does the time of crime match the Friday prayer time window? Were the mosques on 15th March accessible for usual worshippers traffic? Did family, friends or the like visit the mosques on the day/time of crime? Who knows the victims portayed in the media? i.dailymail.co.uk/1s/2019/03/16/13/11074574-6816117-image-a-21_1552743767140.jpg…) ?
? Investigations in nearby shops, offices ?
? Identify and locate people who were near the ‚crime scene’ on 15th March (e.g. by publishing still images of people /cars taken from the shooting video, combined with interview requests / search queries)?
? Were the streets shown in the shooting video accessible to the public on 15th March? Did they appear as in the video or were circumstances/objects noticed which contradict the video’s narrative (e.g. construction sites, traffic signs, billboards)? ?
? Technical forensics: The suspected greenscreen shooting video should be reviewed in depth. Possible starting points are the audio track, the camera move on the suspects face, the disappearing cartridge cases, the gunshots on the car’s windscreen, noticeable cuts. ? Please see my related analysis on the case, which i´m sending you attached? 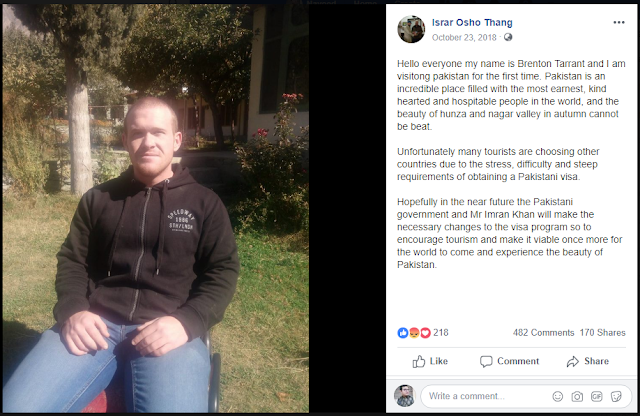 By now we know that Tarrant was a member of the right-wing Knights Templar Order, which, among others, has the goal to “infiltrate Islamist groups to report their terrorist plans to the authorities” www.zeit.de/2012/21/DOS-Breivik/seite-3…. · Berlin, Christmass market attack, 2016: Documents from suspected german “Verfassungsschutz”-agent Anis Amri were found in the driver cabin; he was shot before he could testify about his previous life. 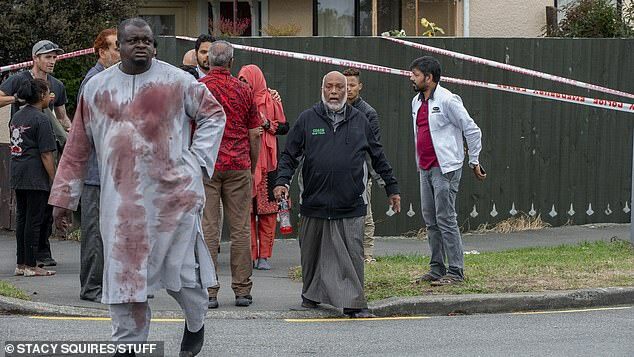 · Munich, killing spree, 2016: Shortly before the attack Daoud Sonboly, who, as media reported, voluntarily trained on the weapon in Iran, or someone else under his name, bought weapons on the internet. Sonboly was shot. · Germany, NSU-case: Uwe Mundlos and Uwe Böhnhardt who in 1998 went underground with the help of German secret services who also supported them financially whilst in hiding, were, in 2011, found shot dead after authorities were seeking culprits in a series of murders within the drug/weapons/money laundering scene. As their last act they supposedly sent videos of confession. · Kennedy murder: Alleged killer Lee Harvey Oswald, who spent a lot of time in the CIA environment, was shot. Afterwards, a photograph appeared showing the sniper with his murder weapon in his proud arm. It is fake. · Norway, July 22, 2011: The terrorist attacks attributed to Breivik were a direct continuation of an official terrorist exercise with almost identical content compared to what happened in reality. Over the previous four days, and on this fateful Friday, the Norwegian anti-terrorist forces trained how to deal with a “mobile” terrorist attack, in which “one or more terrorists target to kill as many civilians as possible and attack the police upon their arrival”. The exercise was completed at 3 pm. At 3:26 pm the bomb exploded in Oslo’s government district. · Paris, November 13, 2015: The terrorist acts, i.a. against Bataclan nightclub, were coordinated attacks in five different locations in Paris’ 10th and 11th arrondissement as well as in three locations in the suburb of Saint-Denis. On this very day, medical emergency services, police and fire departments in Paris trained responses to attacks by an “armed group in several parts of the city”. · The July 7, 2005 bombings of London’s public transport: Ex-Scotland Yard anti-terrorist expert Peter Power, later director of one of Britain’s largest crisis-training groups, held an exercise during the very hour of the real bomb attacks. Training topic was the emergency response to bombings in exactly the same underground stations, where they exploded in reality. The later identified – and disappeared – “perpetrators” all had connections to British intelligence. Whether they were at all present at the crime scene remains unproven, since the only published pictures showing them together on that day (at a subway station) were computer-edited. HERE 153news.net… (0:37) we see and hear a second Mohamed Yama, another man under the same name who recounts the same incident. Watch “Tarrant´s film”, when he passes the cars, that this man is talking about. There is no voice to be heard by someone speaking to him in this area. And there is not the slightest reaction by the film-maker, that he might had been touched from behind. Besides the man recounts a false position of the film-camera. He points to his upper breast, instead of the head. While the “shooter” passes the entrance area of the mosque on the road, we notice in the right angle that a silver van parked in front of the gate is moving in the yard. 153news.net… However, the “perpetrator” ignores the car and rather shoots in the empty side road. As he walks back down the alley to the mosque, the van is already gone. There is only one (!) scene in which “shots” are aimed at a car: This is the front window shot at -3.58 (12.50) where the “shooter”, despite three attempts, hits nothing. There is too little blood caused by the massacre. This is 100% correct for the first run; what would explain – in case of a virtual manipulation of the film – why the “perpetrator” had to leave the mosque and “return” to document at least “standing” blood near the entrance and in two or three places of the prayer room. The hoax community therefore suspects fake victims. The analysis of one scene out of this community 153news.net… judges by a ‘victim’s’ arm movement that the bodies were not on-site as a group at the time of filming but are individually extracted from other picture and film footage and merged into a group per mouse click. However, this arm movement is less compelling than the leg posture of the jeans wearing ‘victim’ lying next to it. His legs (a short-term illumination underlines it) seem to FLOAT. 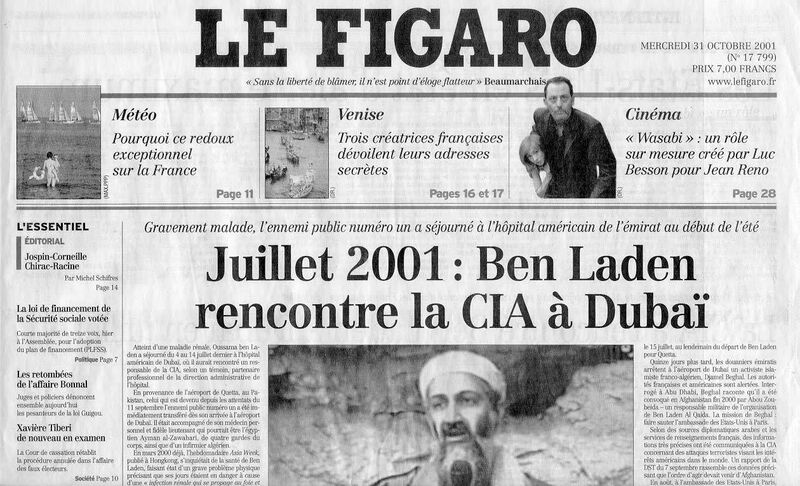 …July 7, 2005 bombings … real bomb attacks. Just posted as a FYI… I didn’t read the whole thing.